Check out our tour reviews on Trip Advisor, Facebook. Please jump on Trip Advisor, Facebook or send us an email. A sample of our recent Trip Advisor reviews appears below..
Had an amazing experience with the heading bush outback adventure! 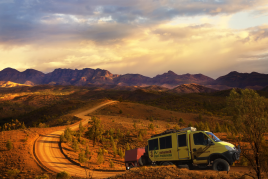 The 4x4WD yellow tank made it possible for everyone to sit comfortable and enjoy the Australian landscape. Unlike buses were you sit 2 by 2, this one is formed so you’ll sit in a ‘U-shape’. Making campsites at the most remote places and sleeping under the brightest stars I’ve seen so far. An absolute fantastic experience with the best group I could’ve wished for. Best tour I’ve ever done so far. Seen and been on amazing places, sleeping under the stars without any light pollution. Our guide Tim knows a lot about the place(s) and has a lot of humour, good cook. These were one of the best places i’ve been and would recommend any other person to do it! Cheers to the group of people and ‘heading bush adventures I’ve met and share all those memories with. Best tour in the outback! The great setup of the bus allows you to easily chat with everyone in your tour group and get to know everyone! The tour is not just a holiday, but a really nice camping trip with new friends. The food is amazing (thank Duffman) and the campsites are really nice. Just lying down in your swag, watching the stars is one of the best things to do. The truck has everything you need on a camping trip and the experienced tour guide knows everything about the area you drive through. Speaking of the area, all the stops are beautiful. The walks are amazing and the activities you do on the tour are great. Overall an amazing trip and I would recommend it to everyone! 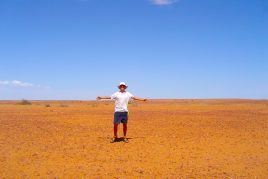 10-day heading bush Outback tour. Adelaide to Alice Springs. This probably was the best 10 days of my life! Picked up by a big and beautiful yellow 4×4 right in front of our hostel. We where picked up by our tour guide Duffman. “Duffy” is not only the greatest tour guide, he is the best photographer, cook, psychologist, driver, campfirestarter, singer and human in the world. The tour was very special because you are woken up by the singing birds and sunshine. You will really go outback survival and it won’t be a 4 star hotel resort. But everything is taken care of. 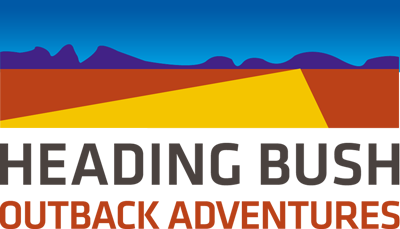 Do the outback without the hassle of taking care of everything the tour got it al covered. I can type so much more but just go ! 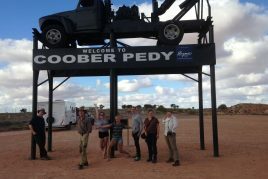 Me and my class went on a 10 days trip from Adelaide to Alice Springs. I did not really know what to expect when Benno came and drove us far away from Adelaide and the city life we knew. 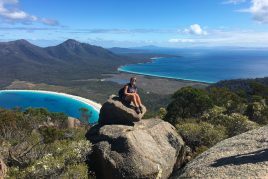 On this trip I experienced Australian wildlife, hiking, driving on dirt tracks and so much more. I would really recommend this trip to everyone that wants to travel to Australia, not only because Benno is an amazing guide who made these 10 days both memorable and interesting, but also because you get to experience Australia’s wildlife and nature. We left from Adelaide with our guide called Beno, most badass man alive!!! Better guide doesnt exist! The trip lasted for ten days, best ten days ever. 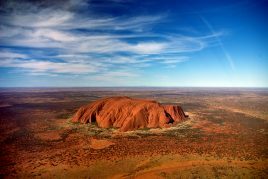 We saw the most famous landmarks in Australia, both Uluru and Kata Tjuta and more ++. Our guide took us to the most isolated places to camp, far away from boring tourist-destinations. This is an experience for life! Honestly the 10 day trip from Adelaide to Alice Springs got me weeping at the end. I’ve seen so many amazing animals, seen the beautiful ecosystem and met with amazing people! I hated sleeping outside until my first meeting with a swag. Already miss it. The trip was extremely exciting, I never knew what to expect as each day passed us by. Our guide Beno made the trip even better! A super personality with a hilarious humor, he really couldn’t have given us a better experience! I’m grateful for every single moment I got. Even with a case of «fat legs» aka cankles, the guide knew just the thing! Thanks! I definitely recommend Heading Bush for every curious soul such as myself, you won’t regret it;) #wotflies? I did the 10 day tour with my class from Adelaide to Alice. It was breathtaking. 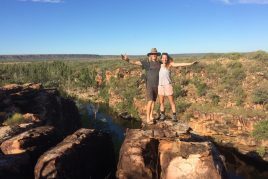 Uluru, King’s Canyon, Cata Tjuta, Wilpena Pound, Coward Springs, Palm Valley, Glen Helen Gorge, Lake Eyre… The trip is just made for success, and our guide Benni was just the cherry on top. Really, I don’t think I’ll ever experience anything like this ever again. This was a 10 day trip with our amazing guide Benno. Benno made this trip 10 times better then it should have, and i am very grateful for having such an awesome dude with us. We were a group of 20 norwegian students that had known each other for a couple of months. But this trip, and our guide really made us a family which I will forever be grateful for. He made me open up more, and made all the people in our group become better people. 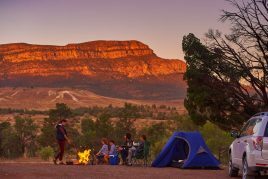 The 10 days spent exploring from Adelaide to Alice Springs with Heading Bush have been utterly fantastic – days that will stay with me all my life. Corbin our guide knows so much about bush food, geology, wildlife, bush survival skills. But most important are his personal relationships with people along the route, which meant we had a very special time with an Aboriginal elder. You need to be ready to muck in with duties, cooking, washing up, digging the bush toilet, loading and unloading the van and trailer, it takes effort from everyone to keep things running smoothly. There is access to running water and showers every couple of days or so, but you’ll be covered in the beautiful red dust again in no time! This trip is worth every penny (full price). I’ll never forget sleeping in my swag in the moonlight in the widest, flattest landscape imaginable. Utter magic. Thank you Heading Bush, thank you Corbin. 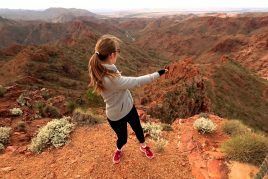 The Heading Bush 10 day trip from Adelaide to Alice Springs is life changing and unforgettable. 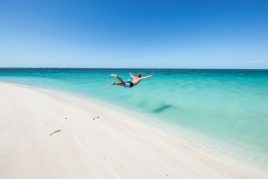 The initial itinerary is awesome in itself but the tour guide, Corbin, will change things slightly to give you the very best bush experience you could ever have. His deep knowledge, unlimited patience and obvious passion enhance an already incredible tour. An extraordinary tour with stunning landscapes. You will learn about Aboriginal culture and the geology, history, animals, plants and tucker of the Australian bush. Corbin is the very best tour guide you could ever ask for and the people on my tour will be my friends for life. A shared experience that is not to be missed. You will see the beauty and magic of the outback. Thank you Heading Bush and Corbin! There are no words to describe how amazing this 10 day Outback tour has been! Our guide, Corbin, is truly awesome. He has a lot of knowledge and experience about everything you have to know about culture, flora, fauna and geology! He takes you to places where other tourcompanies don’t go. This is the real outback experience with excellent transport and equipment – not to forget good and healthy food! Go for it and have the time of your life! 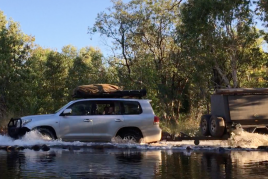 We did the 10 day 4WD expedition from Adelaide to Alice Springs in a small group with 12 people. 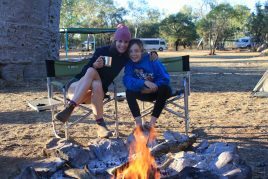 It was an amazing outback experience with 4WD on dirty roads and bush camping at remote places with camp fire and sleeping in swags under the stars. Our guide had a deep knowledge of nature, geology, aboriginal culture and the outback. It was an unforgettable experience for us, better than we could imagine before. Highly recommended! Don’t miss! A truly epic trip of a lifetime. The guide was incredible, so knowledgeable, friendly and always happy to answer my millions of questions even after a massive day 4 WD. I learnt so much about the history and culture of Australia, and where it has come from. I couldn’t recommend this tour highly enough, it is a must do!! I’d do it all over again in a heart beat.